The Same Faces are an improvised comedy group, consisting of Tom Young, Allan Smith and Dave Gotheridge. If you've ever seen Whose Line is It Anyway?, then you'll already have an idea of what we do. 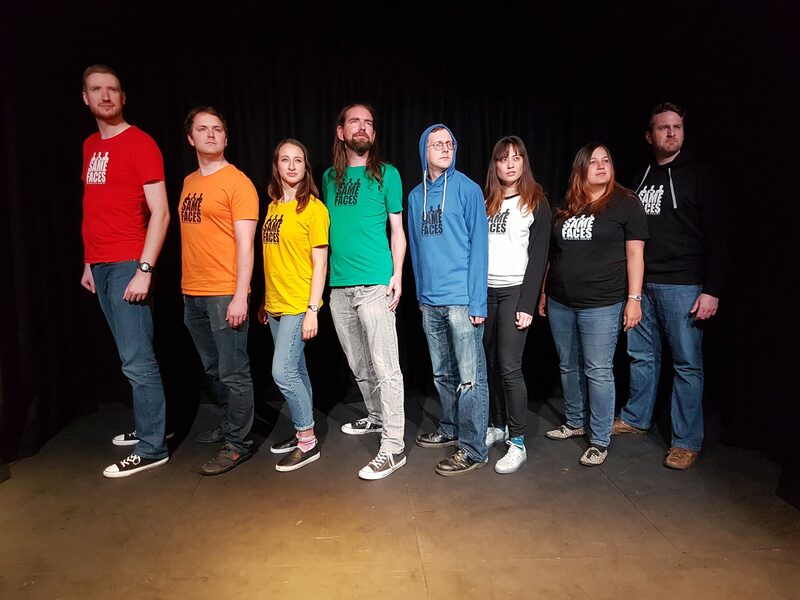 If you haven't, we perform short-form improvisation, taking ideas from you to form brilliant comedy sketches live on stage. £7 on the door. £5 if booked in advance. At each of our shows, we're joined by two guest performers, who come from across the country to improvise with us. Our extended roster includes our semi-regular players such as Mike Brown (founding member), Jaz Cox, Ryan Vernel, Emma Bamford, Jen Kenny, Jim Shields, Tom Lawrence, Ki Shah, Mark Vigil, and many more. Our full line up for this show features: Tom Young Dave Gotheridge & Jen Kenny with guests and musician TBC. Our Northampton gigs are always on the last Saturday of the month, so if you can't make this show, come to the next one; same time, same place, different month! You can also like our Facebook page or follow us on Twitter (@The Same Faces) for more information.